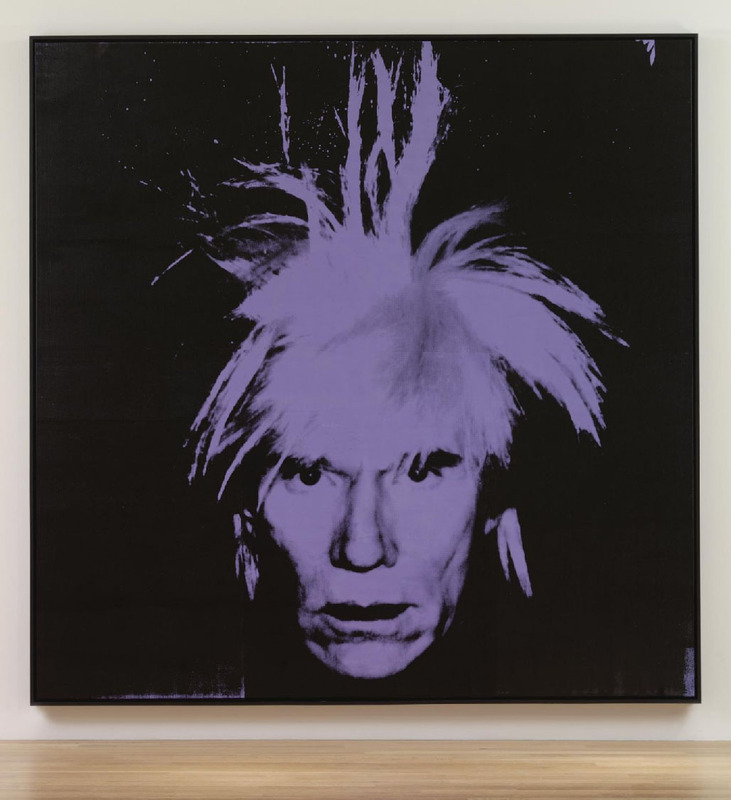 Sotheby's will be auctioning off this oversized Andy Warhol Self Portrait. The work has an estimate of $10 to $15 million. Sotheby's Contemporary Art Evening Auction on May 12th 2010 at Sotheby's New York. Andy Warhol's monumental Self Portrait from 1986 is a powerful image pulsates with energy conveyed through its confrontational frontality. Emerging from an inky black aura and shaded with deep contours, this most recognizable artist of all time simultaneously appears and disappears in front of our eyes. As an artistic genre, self- portraiture by a painter is a traditionally evocative subject for critical study. When the artist is Warhol, the theme is especially rich since the slippage between public and private identity was a central motif in his art as in his life. Warhol's radically innovative approach to subject matter and to artistic technique was ideal for investigation of the self-portrait and he would revisit the genre throughout his oeuvre. 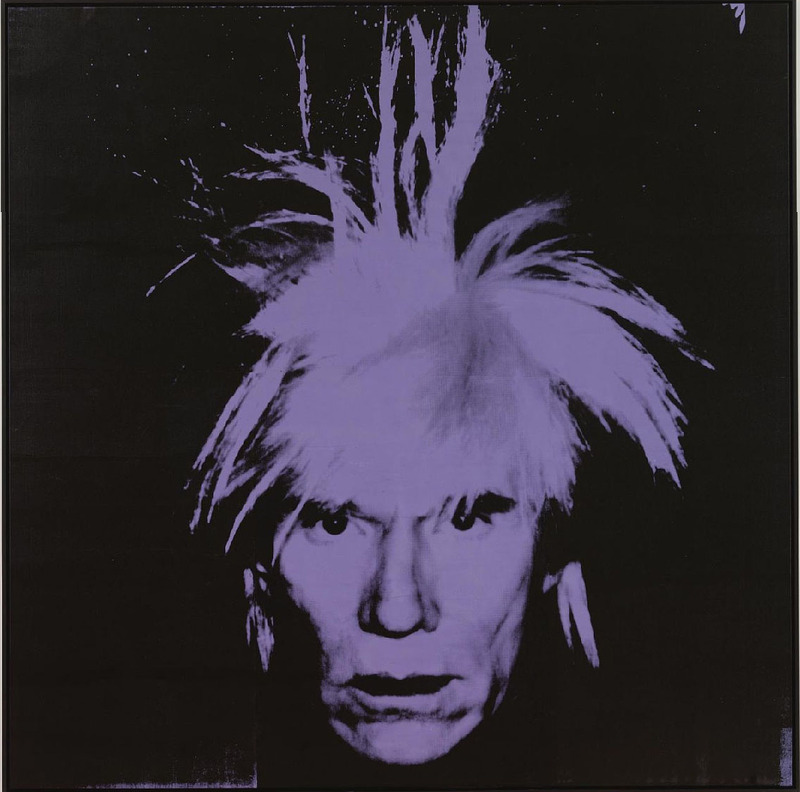 Warhol's celebrity centered on the self-invented and intriguing public persona that he created during interviews and public events. Among his images of the famous that established Pop art in the 1960s, he also became an icon in his own visual repertoire. Belonging to his 1986 self-portraits, the last before his untimely death, this painting encapsulates Warhol's attitude toward presenting his outer self, tempting us with the thought that he might finally let us glimpse his most intimate inner self.